Carpentry is one of the oldest trades around. Whether you're a carpenter, construction worker, or woodworker, you need the right tools for almost every project. If you're wondering which tools to keep in your tool belt or toolbox, the following list will help you out. Here are some of the most important or commonly used tools when starting a construction business. Hammer and nails are a must for construction workers of all kinds. It's hard to think of a construction job that doesn't require the use of a hammer. While hammers come in a variety of shapes and sizes, the claw hammer is the one that most professional construction workers use. It's a convenient and handy tool to keep in your tool belt or toolbox. It allows you to hammer nails into wood and use the claw end to remove them. But there are other hammers that you'll find just as useful. For example, a sledgehammer is ideal for tearing items apart. Rubber mallets are necessary for hitting an item into a surface without damaging the area. Ball-peen hammers are used for metal-workers. When it comes to basic construction, the claw hammer is the best one to use. You should also invest in a battery-operated nail gun that allows you to pop nails out quickly and easily. The hand saw comes in a wide variety of options but shares a common purpose. The hand saw is commonly used by traditional carpenters who like to control the cut while providing a smooth finish. Since this tool comes in many varieties, the original hand saw is one you should always have on you. The traditional hand saws are known as coping saws, hacksaws, or rip saws. While the hand saw is not similar to a power saw with stainless steel attachments, it's beneficial to have both types. The great thing about a circular saw or power saw is that they come in cordless versions, which makes working easier. The workbench will quickly become your best friend. It allows you to rest a piece of wood on it while you saw or cut it. Workbenches are lightweight and portable enough to carry around. They're mostly used for door installation or framing projects. Thanks to a workbench, you'll able to make smooth cuts while working alone. Some of the best models come with additional features such as adjustable surfaces and clamps so you can adjust it to almost any size wood. Screwdrivers are essential tools for construction workers. That's because screws are usually better at holding two objects together than nails. They're also easier to remove than nails in most cases. There are a wide variety of screws and screwdrivers. The two most common types are the flathead and the Philips screwdriver. Many construction workers prefer to use the Philips over the flathead. Manual screwdrivers take more time and effort than power drills with stainless steel attachments. In addition, most power drills and electric screwdrivers come with features that fit most types of screws. Your toolbox should come with at least one type of screw or screwdriver since it's based on personal preference. Nails are crucial to your building needs in addition to screws. You'll also probably need a framing nailer or finish nailer for your wood projects. Make sure to check the expert reviews when you need something for your project to improve speed and efficiency when it comes to nailing. It's important to measure and re-measure to ensure you have those measurements right. You should also make sure that everything is level. Taking precise measurements can prevent you from wasting time on a home improvement project that doesn't work as planned. Using the level and tape measure correctly will prevent mishaps from happening. A level is a device that tells you whether or not a surface is a level. The bubble or the spirit level is the most common type among construction workers. The air bubbles within the liquid will tell you if the surface is a level surface. Tape measures should be in every construction worker's tool belt. You should have one that contains the English measurement system and one that contains the metric measurement system. Or, you can invest in a self-leveling laser measurement device that contains both types of readings. This is ideal if your construction business takes you out of the country. Your construction business will need all of the top tools of the trade, essential equipment, and major machinery to be successful. For more essential tools, make sure to read the best tools review ever. 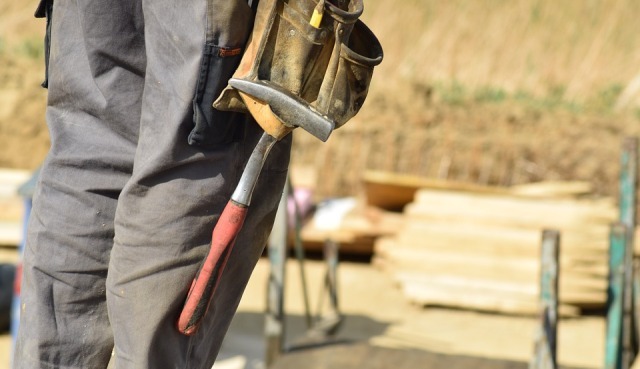 I hope you enjoyed this blog post about the most important tools and products that your construction business needs to be successful.